Today i am going to share my experience with some real awesome products which i LOVE to the core! If something really works for my combination skin, it has to be this body butter from 'Ther body shop'! OK! It's a bit extra aromatic like'really gets on your nerves' but since i like strawberry, that ain't a problem for me! I had bought these from one of Shoppers Stop sales and MY! I JUST LOVE THEM! ^_^ So comfy so fab! <3 Pepper is a real fab brand. I have bought more footwear from this brand and have never got disappointed with the quality! It's just-fab! If you want to catch a glimpse of heaven,if you want to know what being loved feels like, if you want to transfer into a world where there's just happiness......just smell Lavender from Ambi Pur! They say somethings cannot be explained, they can only be felt or smelt and this one is just that! Smell it and you'll end up loving me for introducing you to this! Crazy kiya re' O Crazy! Yup! This range from Revlon has become a very important part of my life! 'Adore' is one shade which suits me best and never fails to give me those luscious lips which remain the same for hours together! Read the detailed review of 5 shades Here. 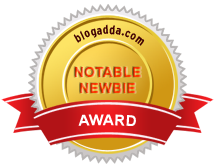 I won them for this post in a contest by Apollo and Indiblogger.in. They are real awesome! They are priced at some 8000 INR(i am not kidding!) but the best thing is that i got it as a gift! Wow! Wide range of stuffs! He he, all I am thinking right now that my wife never finds your blog. Thanks for your visit to mine. wow BOSS EARPHONE .. though this is starting range but still its best in its class ! hey.. I am sharing my award moment with you... enjoy.. my wishes..
Hey Meera ;) chal finally post kiya na! I use the jasmine soap from soul flower ! and I just can not do without it ! Rhea Kapoor~Brains behind the beauty!